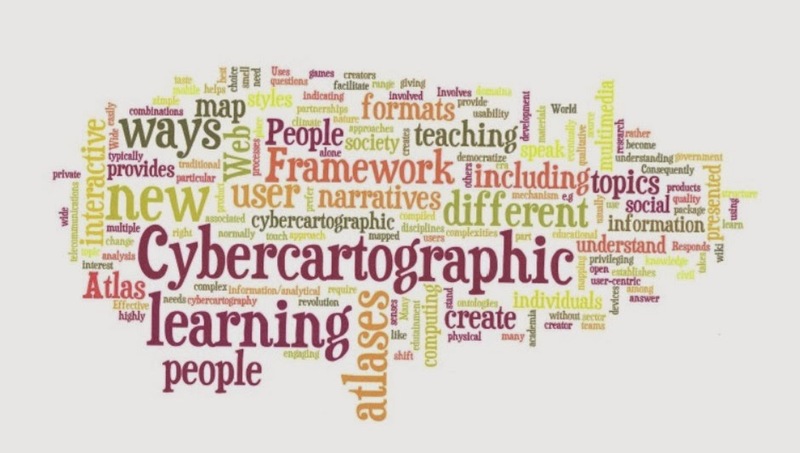 Cybercartography favours self-reflexivity, heterogeneity and real-world representations. 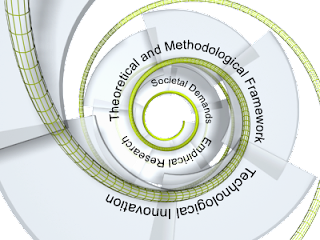 It proposes self-organisation and the retaining of identity through a process of circular interaction that could be described as autopoietic. The originators of the term ‘autopoiesis’, Humberto Maturana and Francisco Varela, describe it as a character of living systems where through the circular interaction of its processes it maintains its organisation and retains its identity (1980: 9). They explain that second order conduct is denotative because “it points to a feature of the environment that the second organism encounters” and which can be described. (1980: 28). They also make it clear that for linguistic behaviour to be of an orienting nature there needs to be consensus: individuals need to be able to compare events and experiences that are not only similar but use a shared medium – language (1980: 30). Geospatial technology, used in conjunction with local communities, enables spaces to have a symbolic meaning attached to them by encouraging exploration into areas of creative expression. Virtual geographies have the function of reversing the spectacle, “the secret nodes which connect and route flows of capital”, and help to reveal the concealed “black-box that is anti-market capitalism” (Imken 1999: 103). Hayles, N. Katherine. 1999. How We Became Posthuman: Virtual Bodies in Cybernetics, Literature, and Informatics (Chicago and London: University of Chicago Press). Imken, Otto. 1999. 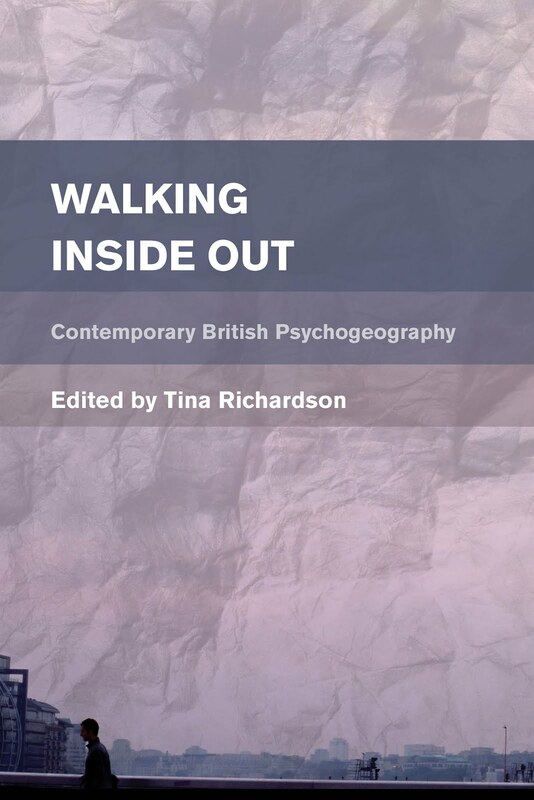 ‘The Convergence of virtual and actual in the Global Matrix: Artificial life, geo-economics and psychogeography’, Virtual Geographies: Bodies, Space and Relations, ed. by Mike Crang, Phil Crang and Jon May (London: Routledge) pp. 92-106. Maturana, Humberto R. and Varela, Francisco J. 1980. Autopoiesis and Cognition: The Realization of the Living (London: Dordrecht). Taylor, D. R. Fraser. 2005. 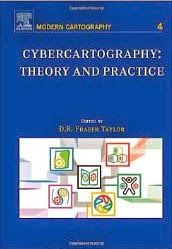 ‘The Theory and Practice of Cybercartography: An Introduction’, Cybercartography: Theory and Practice, ed. by D. R. Fraser Taylor (Amsterdam: Elsevier) pp. 1-13. I bought this from a catalogue in the 1990s. I watched a programme on Sky Arts recently on Jeff Koons ‘The King of Kitsch’, one of his most famous sculptures was Michael Jackson and Bubbles (1988) and was gold-painted porcelain. I am a fan of kitsch. Not in all its forms, and not just ironically. 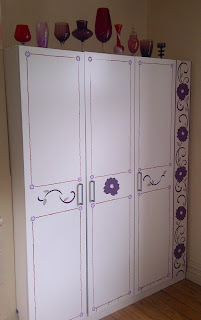 I am also interested in discussions on kitsch and what is considered kitsch (there appear to be many grey areas). 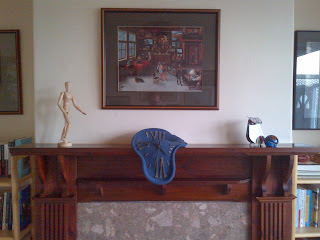 I think a piece of well-placed kitsch looks great in one’s house, so in this short blog on the subject I have interspersed the text with some of my own kitsch objects. 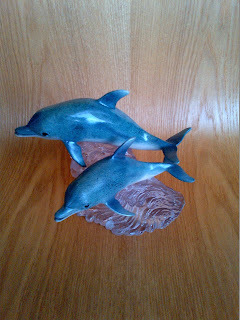 This is in my guest room along with a set of china dolphin bookends. The Oxford English Dictionary (OED) describes ‘kitsch’ as: “Art or objets d'art characterized by worthless pretentiousness; the qualities associated with such art or artefacts.” This definition implies that the object is pretending to be something that it is not, whereas the common usage of ‘kitsch’ today is often aligned with the art not pretending to be something it is not and, in a sense, setting itself up clearly as an object to be seen for what it is, in all its mocking superficiality. Today’s kitsch can be overtly self-conscious, as is the case with Koon’s work. There are other entries in the OED, for example: “Kitsch is mechanical and operates by formulas. [...] is vicarious experiences and faked sensations. [...] The more romantic a work of art, or a landscape, the quicker its repetitions are perceived as kitsch or ‘slush’.” Also, there are alternative meanings: “to render worthless, to affect with sentimentality and vulgarity”. In Theodor Adorno’s essay 'Kitsch' he states that the etymology of the word is in the English word ‘sketch’ and he explains this as “the quality of becoming unrealized, merely hinted at.” (2002: 501), although this connection to 'sketch' is not noted in the OED. It seems that 'kistch' is a slippery term, the use of which has changed over time. The plastic one on the left was a gift and I bought the other china one to keep it company. [I]f kitsch represents falsehood (it is often so defined, and rightly so), this falsehood falls back on the person in need of it, on the person who uses this highly considerate mirror so as to be able to recognize himself in the counterfeit image it throws back of him (1973: 49). These kitsch objects, whilst they are really only generic objects, are imbued with a power that appears to speak to 'you'. Whereas in the past warnings were given to individuals not to buy kitsch because it was 'bad taste' and mass produced, nowadays individuals generally understand the concept of kitsch because it is usually much more recognisable as kitsch. However, I think this brings with it some problems. 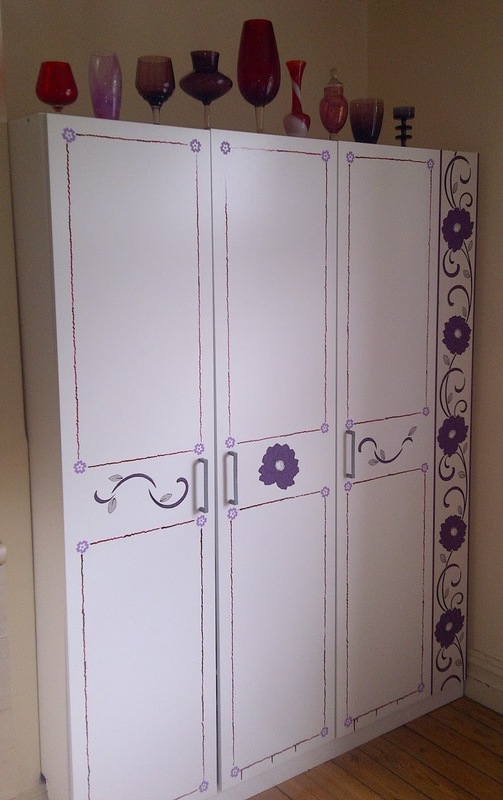 Because I needed a temporary wardrobe, I bought a really cheap one in white melamine and did it up in a kitsch style. However, I believe this knowledge does not make the individual impervious to its calling. Because the individual is aware that something is kitsch (false) they enter into a relationship with it on the assumption they have total agency in this exchange, but kitsch operates on another level. I would describe this relationship with kitsch to be rather like that of the simulacra: a reflective mirroring which continually circulates and has no resting place. Especially when we consider the kitsch from our own past, such as how the Tina portrait would be for me growing up in the 1960s. The present looks back at the past which is what creates the calling; the calling emanates from the individual but they have projected it onto the object and believe it to be outside themself; the object, in its personalised way, looks into the psyche of the individual; and yet the individual feels they are controlling this process because they 'know' this thing to be kitsch. 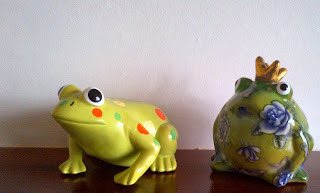 The knowledge that something is kitsch does not prevent one being interpellated by it: the chosen object has, in fact, already interpellated you before you consciously realised it was kitsch!